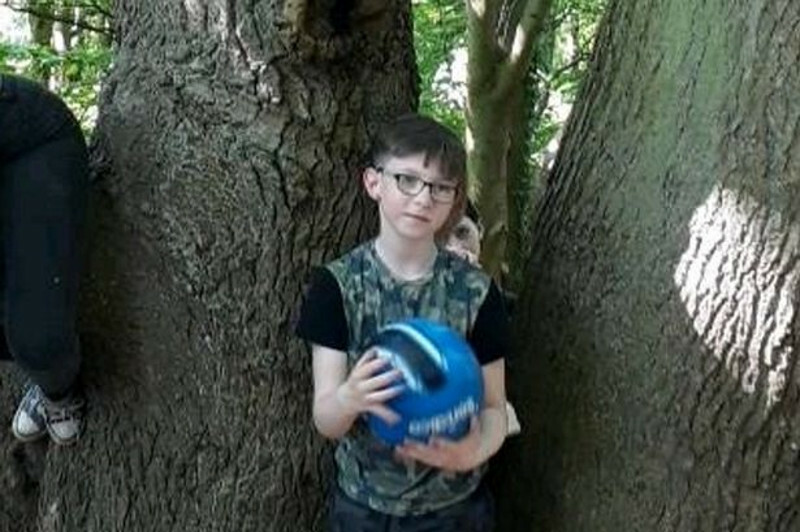 Laura Watson had been taking pictures of her kids climbing trees in the woods whilst on a family outing, when a seemingly ghostly figure photobombed one of the pictures. The medical receptionist and her family went for a picnic at Plessey Woods Country Park in Northumberland, England. After the picnic, the kids went to go play in the woods and started climbing a tree. Laura got out her camera to capture the memory, only to capture something really creepy along with it. 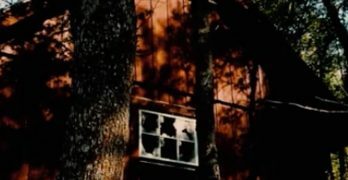 When she got back home and reviewed the pictures, a ghostly boy with very pale skin and dark hair is standing behind her son in one of the photos, with his hand on her son’s shoulder. Laura had been a skeptic before this incident, but she says she believes now. One of the main reasons she believes is because the image of the boy is so clear in the picture. She also had no indication that the boy was there at the time she took the picture. No one else was near them in the park at the time. 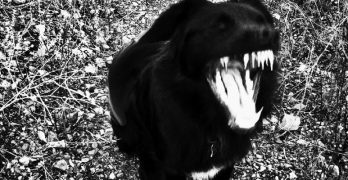 None of the kids saw him, and they had dogs with them who she says didn’t act as though anything was amiss. It wasn’t until she got home and put the images on her computer that the creepy kid appeared. At first, the revelation terrified Laura. 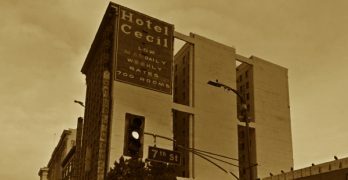 She reports that she and her daughter didn’t sleep the night of their ghostly discovery, for fear that the spirit had followed them home. But in the days that followed, Laura has developed a newfound interest in the paranormal. She wants to go back to the woods to see if she can capture any more paranormal activity, but is still a bit worried about having spirits following her home. Since her photo was uploaded, there has been a lot of speculation about what the apparition could be. The most popular one is that there’s a boy who drowned in the River Blythe that runs through the woods a long time ago. 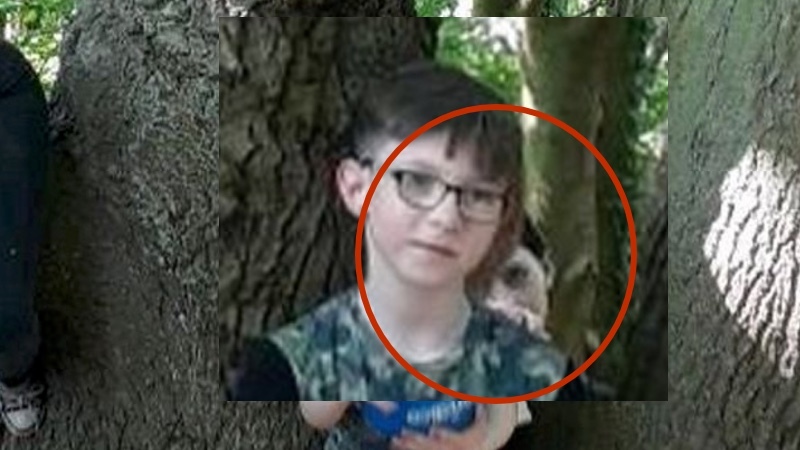 It’s an interesting theory, given the boy’s pallid appearance, and lots of people seem to be attributing the specter to the drowning victim. But, we may never know for sure who the boy is or how he ended up in the photo. All we do know is that the photo has made Laura Watson a believer!